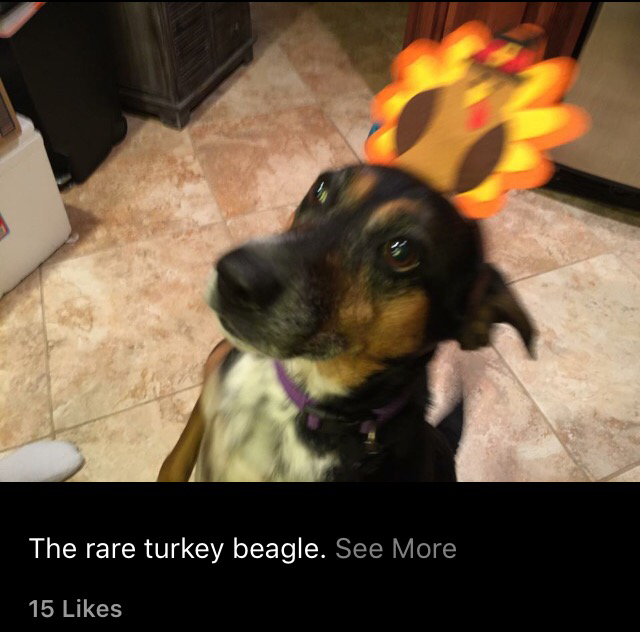 Two years ago I hosted Thanksgiving for the first time. My husband and I finally had a nice, big house, and I was excited. But I ended up kinda hating hostess status, so when my mom told me she missed having it at her house, I pretended to be noble about “giving” it back to her, but inside I was doing celebratory cartwheels. So, Thanksgiving 2014 and 2015 were back where they belong at my folks’ house. And without the hosting duties, I had time to ponder on this ridiculous list of lessons learned, rules to follow and random “deep” thoughts. Oh, and time to dress up my dog. 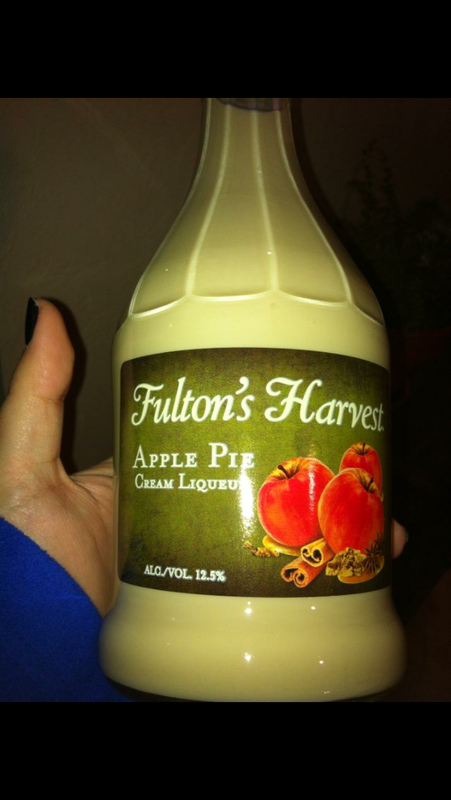 ⊗ First, and most importantly, canned apple pie filling is gross. The apples are slimy. Homemade filling is the way to go, and making pies is somehow one of the three domestic tasks I do well. I’ve got my grandmother’s pie crust down to an art form. 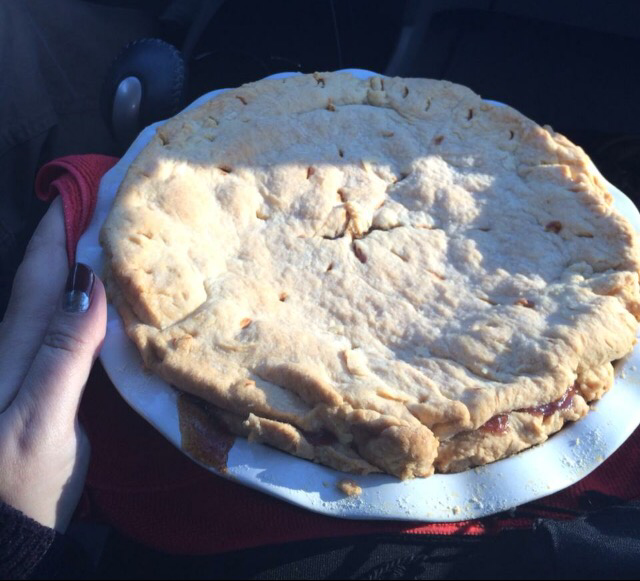 Every year I make a diabetic-friendly pie with my grandmother’s crust recipe for my father-in-law. Only natural sugar from the fruit, and still delicious. ⊗ Don’t assign the person who is always late the utmost important job of bringing the wine. You cannot be late with the wine! You should be an hour early with the wine. We need wine to finish cooking. 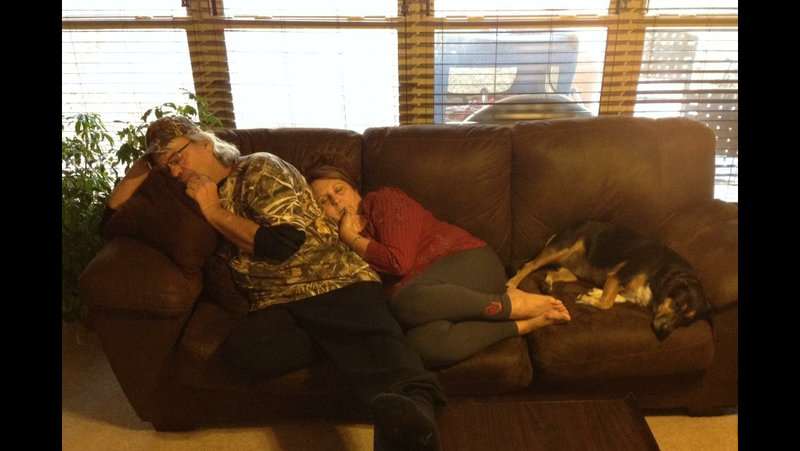 My mom and dad wiped out with my Beagle-Rottie mix Sidnee getting in on the couch action. ⊗ Having a 4-year-old say a blessing for the food will be adorable. You will feel warm fuzzies no matter your religious affiliation (or lack thereof). ⊗ If you show the little kids in the family how to shoot whipped cream into their mouths, you are responsible for the mess. ⊗ Turkey pairs well with all wine. ⊗ Pie pairs well with coffee (spiked with any creamy liqueur). ⊗ If you are 30+, keep in mind you cannot put away food like when you were a teenager or in your early 20s. You are no longer a trash compactor. If you fill up that second plate, you will suffer for the next 12 hours minimum. ⊗ This past several years of leggings being trendy is the best for a gluttonous day. 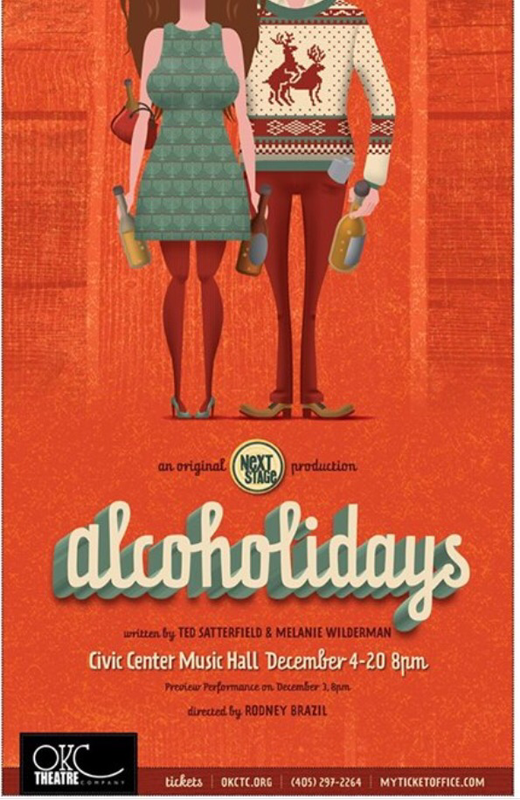 ⊗ And finally, if you are in need of laughing about holiday annoyances, you should probably get tickets to this show, which my husband and I wrote. Shameless self promotion aside, I hope you are enjoying the holiday season, and I’d love to hear any quirky stories from your gatherings in the comments below. Tagged families, family, holidays, thanksgiving. HA HA, these are all great pointers, but the most important I agree is the person in charge of bringing the wine must arrive early!